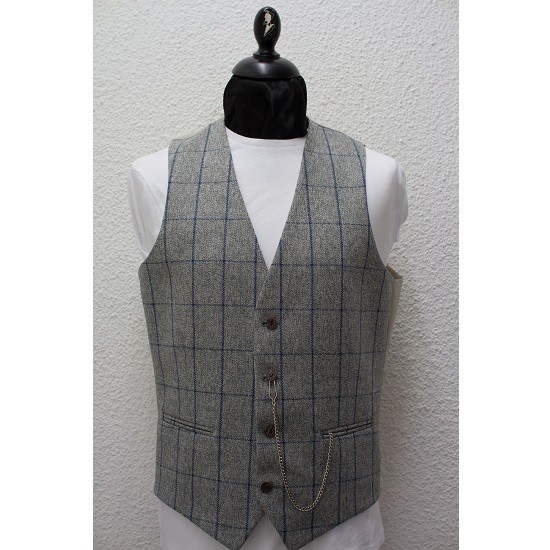 Silver grey soft handle tweed waistcoat with navy blue window-pane pattern. 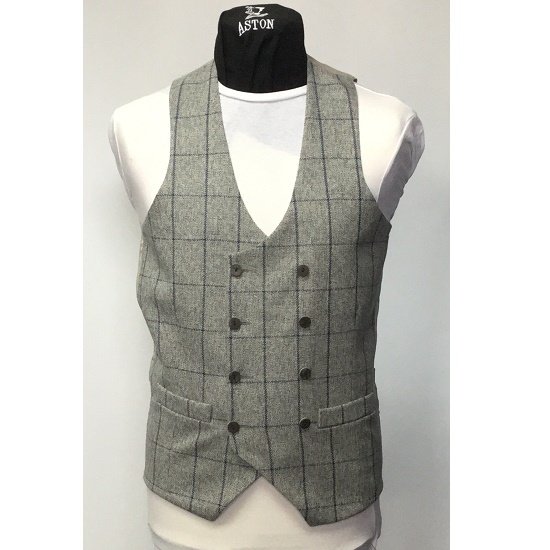 Available in standard single- or high cut double breasted styles. finished with wood effect heritage buttons.